Today we're covering Batch Invoicing. Every month, you're opening, editing, and resolving tons of Tickets. You might not want to Invoice a customer every time you add a new item to their ticket(s) if you know more work is coming. That means you'll probably have Pending Ticket Charges open at any given time. 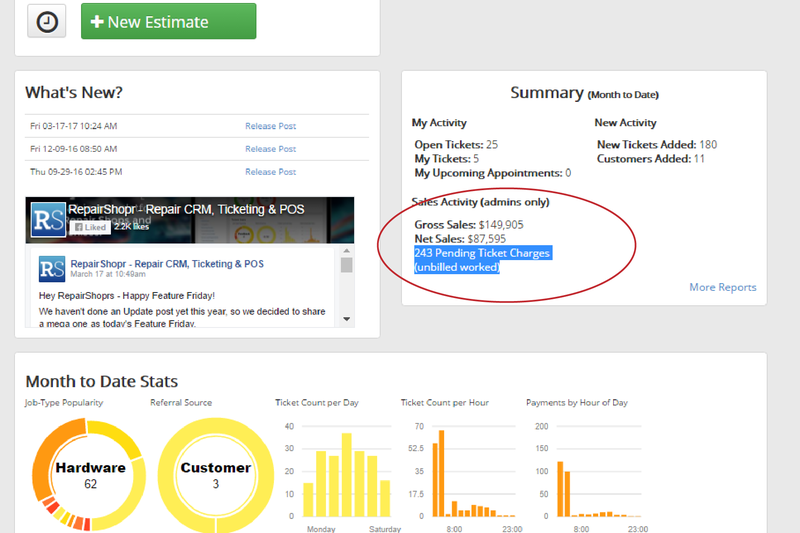 You can see a summary of your Pending Ticket Charges on your RepairShopr account dashboard. Today's Feature Friday is about Batch Invoicing. This feature lets you create one Invoice for a customer that includes all outstanding charges you haven't invoiced them for yet. You can do this manually on a regular basis, or watch the Feature Friday video to learn how you can do it automatically. (Automatic FTW).